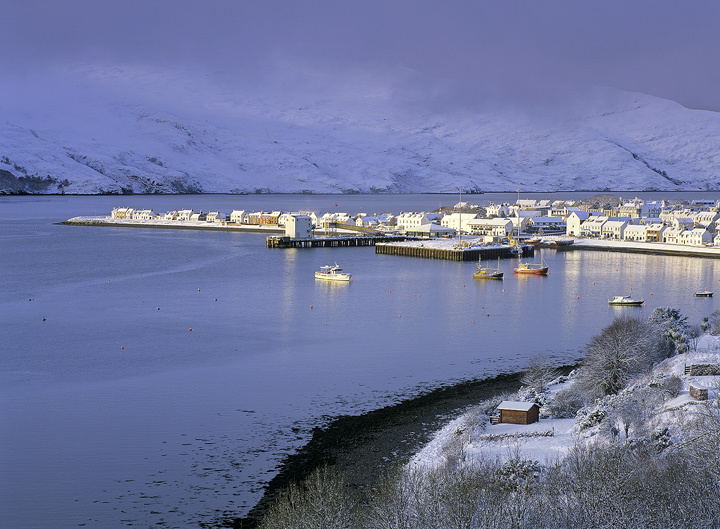 Although this is a classic viewpoint for the little village of Ullapool it is never-the-less aesthetic and with early morning winter sunlight streaming in down the length of Loch Broom and dark brooding clouds over the mountains and village it makes a superb shot that only a fool would ignore on the grounds that it's been done many times before. I waited for the two main fishing boats to drift into position and reflect the sunshine off their wooden painted surfaces. The differential light striking the village only makes this one of my favourite shots of this picturesque wee Scottish town.